New in the shop this afternoon : shoes by Pla! 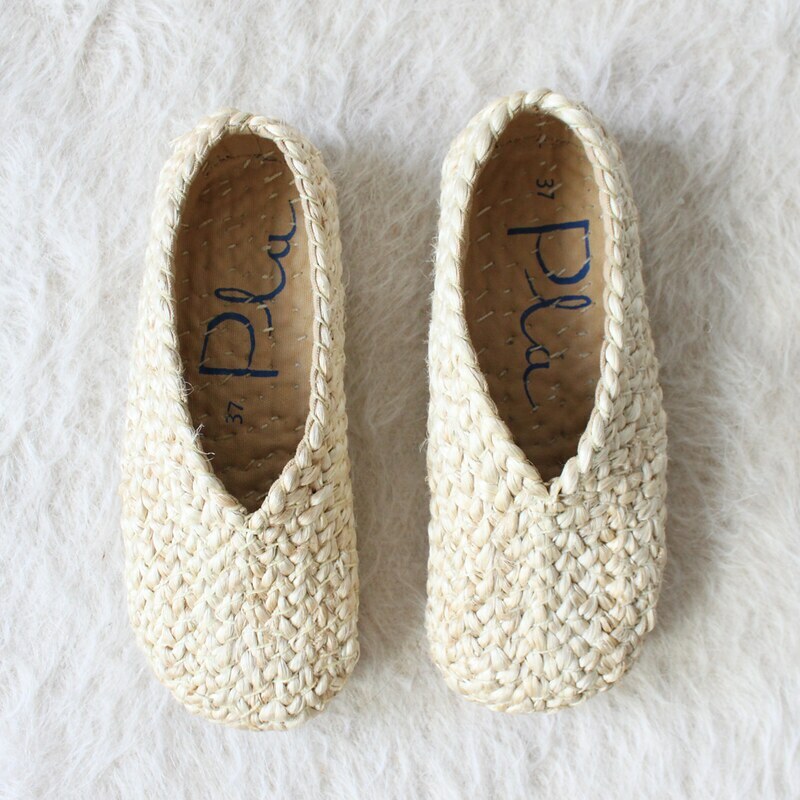 Pla shoes are designed in Mallorca and handmade with a fair trade artisan group in Bangladesh. 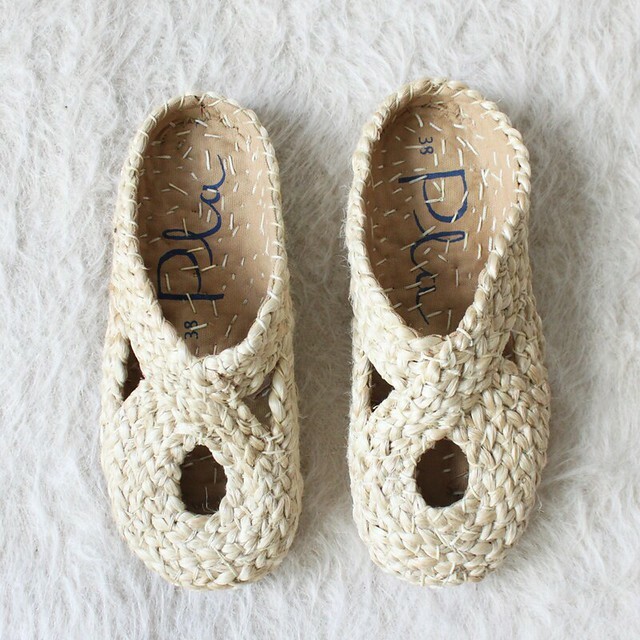 The shoes are woven with a single strand of jute fiber and then stitched on to a cloth base. The shoes are then sent back to Mallorca where the rubber and textile soles are put on. 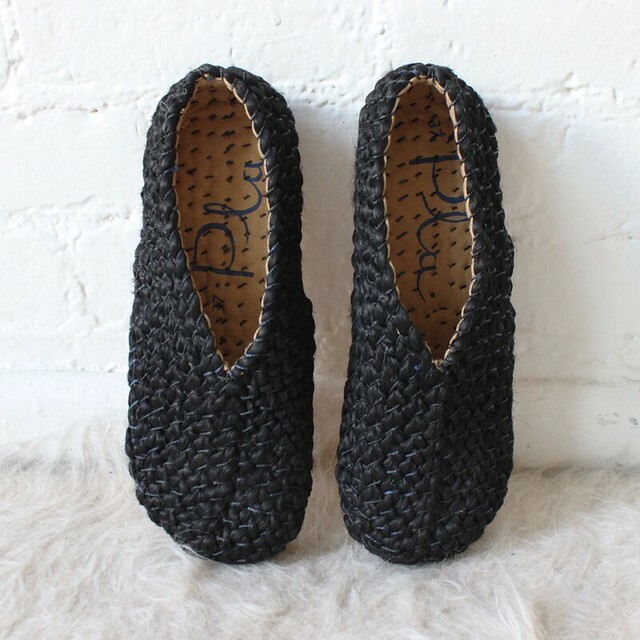 They are very comfy and perfect for spring. Please watch the video below to learn more about the process, it shows the lovely designer Irene traveling to Bangladesh and back home to Mallorca to make Pla shoes. Shop Pla shoes here.